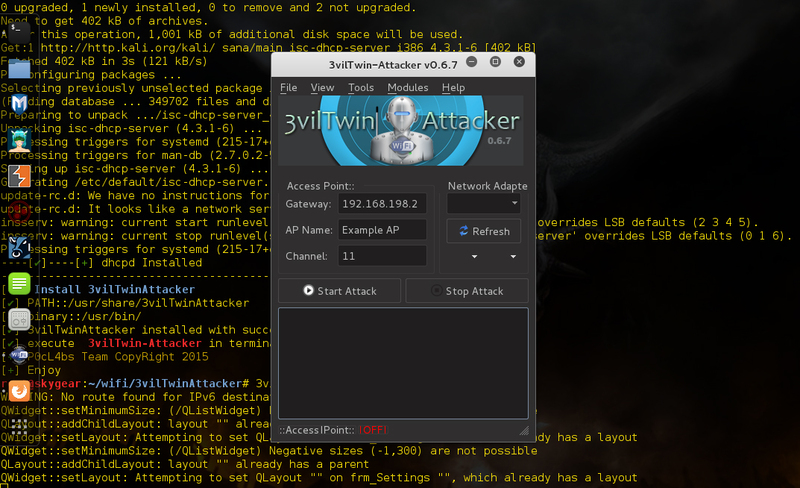 Browse: Home / 3vilTwinAttacker v0.6.7 released – Framework for Rogue Wi-Fi Access Point Attack. 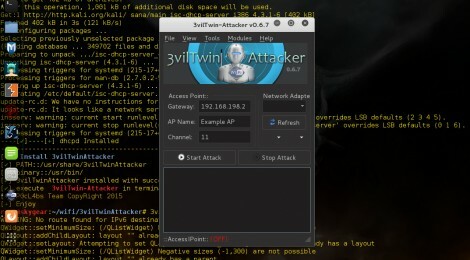 3vilTwinAttacker is security tool that provide the Rogue access point to Man-In-The-Middle and network attacks. purporting to provide wireless Internet services, but snooping on the traffic. can be used to capture of credentials of unsuspecting users by either snooping the communication by phishing. ← Python Script for Brute Forcing SSHD.